Depe Dene comprises 700 feet of lakefront property and nearly 300 feet of beachfront property. 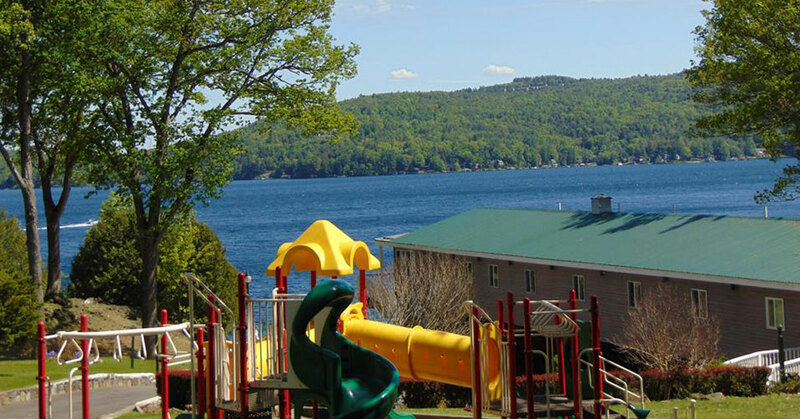 Read on to see why you'll be wowed by the extensive accommodation options, the variety of on-site amenities, and find out why the resort is in an ideal spot for Lake George vacation-goers. If you like to have a range of options to choose from when you go on vacation Depe Dene fits the bill. 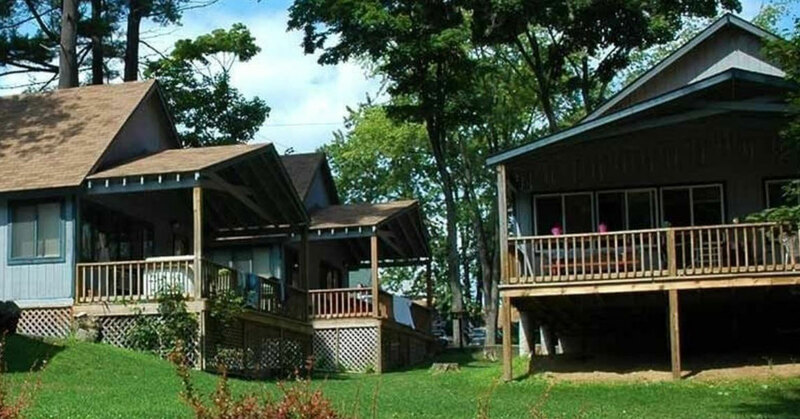 They offer Adirondack-style cabins, lakeside cottages, townhouses, beach suites, and lake view motel rooms. You can opt for one, two, three, or four bedrooms depending on the accommodation you opt for. Coming with the whole family or a large group? Check out the four-bedroom cottages and townhouses. Having a family reunion, or need accommodations for a large celebration? Their estate mansion comprises 11 bedrooms and can sleep up to 24 people. Many vacationers at Depe Dene who may have stayed in the spacious family-sized accommodations int he past, may not realize that they also offer smaller options for couples or an intimate group of friends. The beach suites, for instance, come available with just one or two bedrooms and they're located on the lower portion of the resort above their fabulous beach for easy access to the water. And, if you're looking to bring the furry members of your family with you, they allow pets in the two cottages located across the street from the main resort property. Speaking of the beach - Depe Dene boasts the largest private beach in all of Lake George. Wow! You and your loved ones will have plenty of room to spread out with your comfortable beach chair and a large umbrella as you gaze out at one of the most pristine lakes in the country. And that's not all. Depe Dene arms their guests with everything they need to fully enjoy the beach and water experience with complimentary kayaks, paddleboats, and stand-up paddleboats. You won't have to worry about a thing, except maybe remembering sunscreen and a beach towel. Depe Dene does not limit amenities to the beach area. 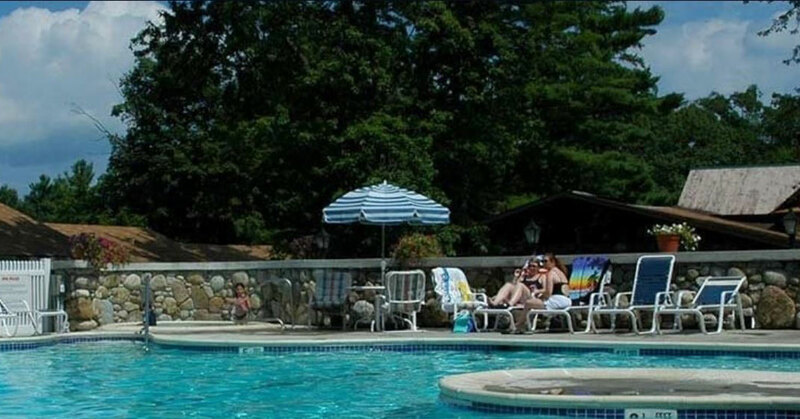 You'll also find a heated pool with adjacent hot tub, two playgrounds, a play area for small children, a tennis court, a basketball court, a volleyball court, two shuffleboard courts, ping pong, and horseshoes. There's also a small arcade attached to the office for those rainy days or when you want to escape from the sun for a bit. In addition, during their official season (June 22nd through Labor Day for 2019) they offer nightly social events that get everyone out and having fun. Events can vary from week to week and can include shindigs like a s'mores night, a cookout, or a luau. 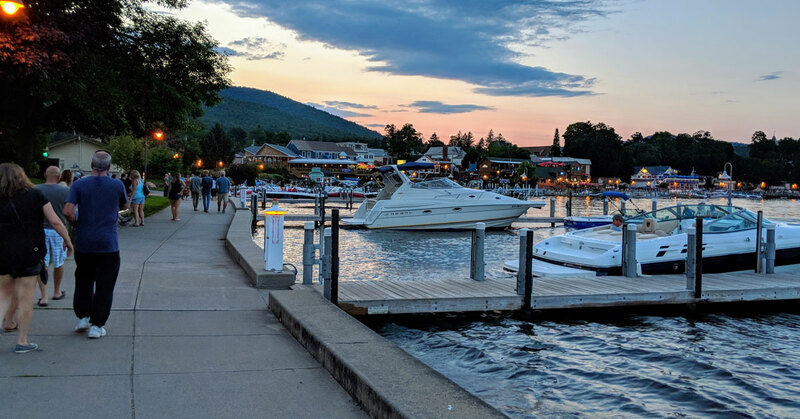 Although there's so much to enjoy right on-site at the resort, when you are itching to check out the rest of what this lively area has to offer, Depe Dene is situated right between two hubs - Lake George Village is just three miles south, and Bolton Landing is six miles north. You're close to all the attractions and amenities these communities offer, but you're also far enough off the beaten path that you can enjoy some privacy and quiet. 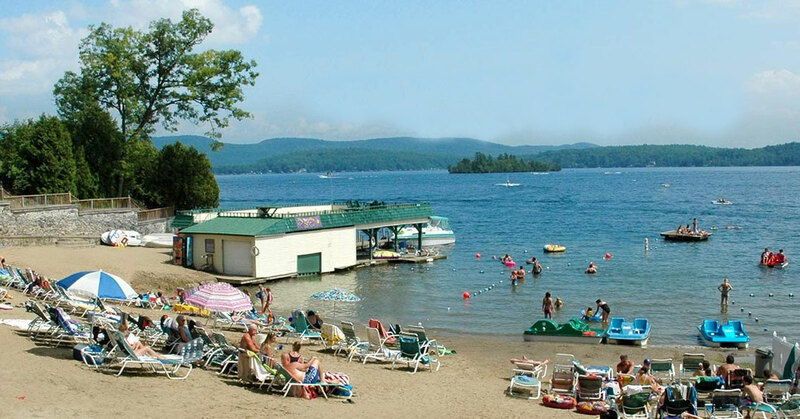 Lake George Village offers fun things to do on and off the water. From seeing the lake in a whole new way on a steamboat cruise to shopping at unique stores to enjoying a lakeside drink at a restaurant or bar, you're sure to find something for your speed and style. And - how cool is this? - Depe Dene offers an in-season water taxi to and from the Village for free. When you stay at Depe Dene you can be confident you're supporting a local business that is family owned and operated. The Erminger family has owned the resort since the early 1980s after purchasing it from the Nelson family. The Nelson family started out with just a few cottages and today the resort includes 88 units and a ton of amenities. Justin Erminger is planning on taking over the business from his father Ken, and Ken's brother Terry also actively works at the resort. Moreover, Depe Dene has a fun story behind its name that both the Nelsons and Ermingers chose to hold on to, to pay homage to its history. The name is pronounced "dee-pee-dean" which is a Native American term referencing family and togetherness. This meaning behind the name perfectly coincides with the resort, and how it provides an ideal spot to spend quality time with loved ones in a beautiful setting. Depe Dene is open May through September. Opening day for 2019 is May 23rd (the Thursday before Memorial Day Weekend), and then they stay open through September 9th. You can take advantage of off season rates on either end of the date range: from May 23rd to June 21st, and from September 3rd to September 9th.